In the next couple of blog posts I will focus on Montgomery St and use photos from Library of Congress' collection. Most of the photos are from 1979, at a time when Jersey City was a bit down on its luck. The buildings that can be seen to the right in the photos are the back of the buildings facing Jersey Avenue. The back of the buildings are configured almost exactly the same today, as they were in 1979 - no new extensions have been built. The only differences that I can spot is that one window has been bricked up, and some lighter colors have been used on the wood work. It's a completely different story with the buildings to the left, 298 and 300 (?) Montgomery St. 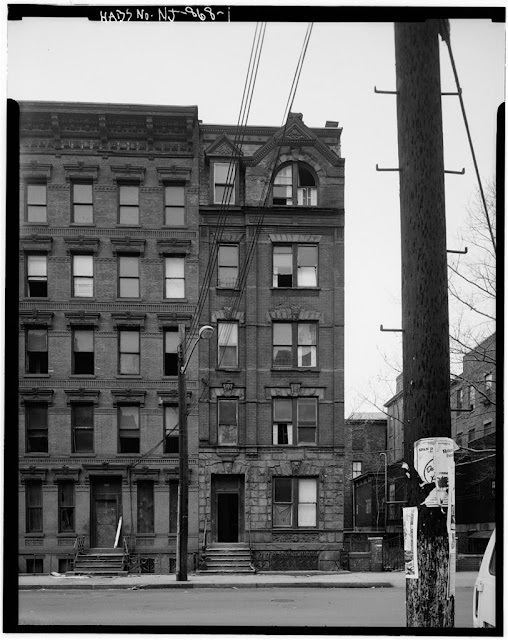 Even though the exteriors seem to have been in decent shape in 1979, the ground floor of the building to the left is boarded up. At that point there seem to have been quite a few abandoned buildings on and around Montgomery St that were obtained by the city of Jersey City. As I will show in upcoming posts several of the buildings were in much, much worse conditions than those that can be seen here. Some of these buildings were tore down and replaced with public housing. In the example of 298 and 300 (?) Montgomery St above a couple of buildings were torn down and replaced with new buildings and combined with rehabilitated buildings next to them (to the left of what can be seen in this photo, I'll show it in an upcoming post). 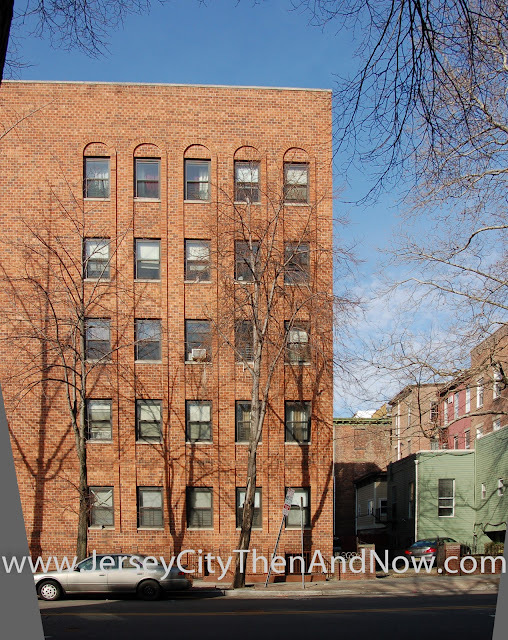 Even though Jersey City went through some hard times in the 70s and 80s, its unfortunate that many beautiful buildings became casualties of these struggles. The old pictures comes from Library of Congress' extensive catalog of historic documents.